Known as "finger skateboards" because you can move them around tabletops with 2 fingers. Each keyring is 3.5" long. 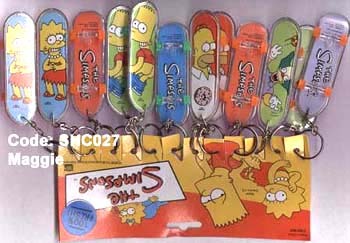 The picture shows 12 keychains and each is US$5.